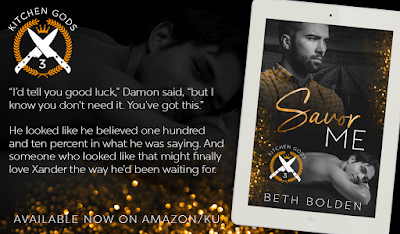 Hope that he can expect companionship and affection, hope that he doesn’t have to grapple with his family’s questionable Napa legacy any longer, and most importantly, hope that there’s a future worth believing in. 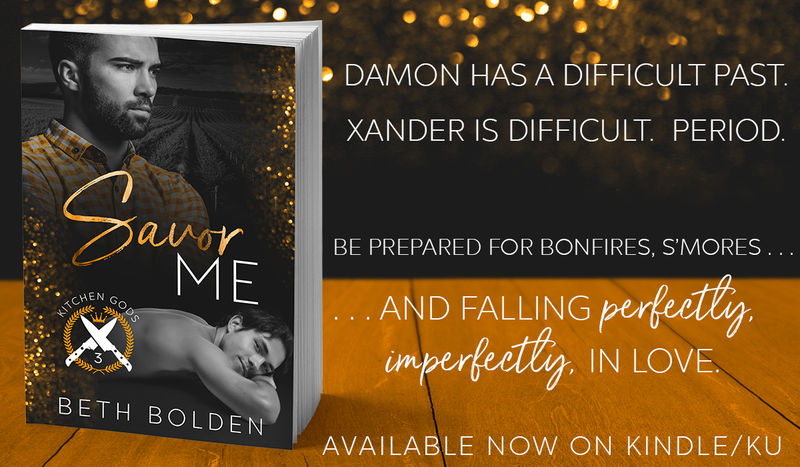 But the longer he and Xander spend cultivating that future, the more Damon realizes that the key is so much simpler than he ever imagined—it’s Xander. 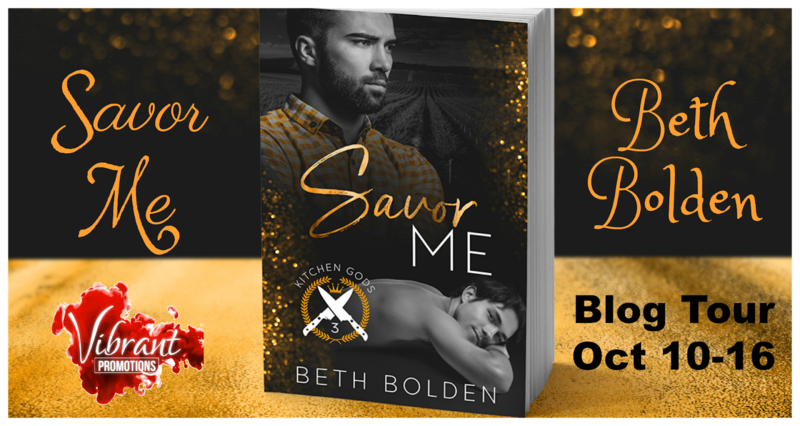 Read my 4.5-starred review of Savor Me. 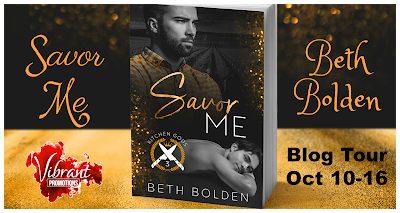 Add Savor Me on Goodreads. Beth has been writing practically since she learned the alphabet. 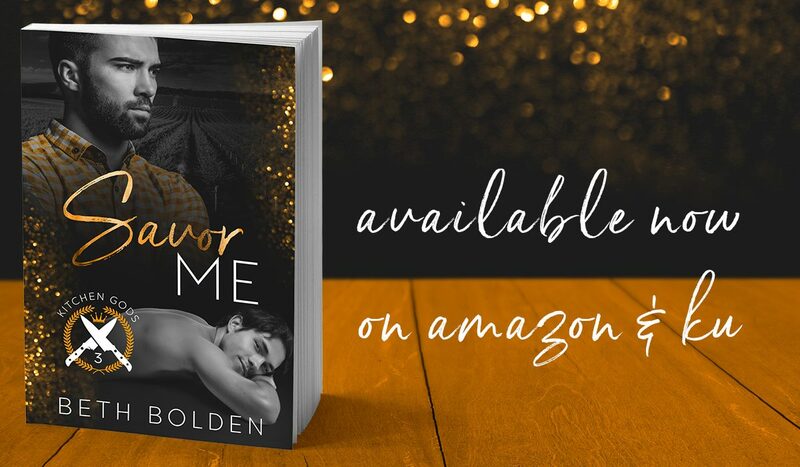 Unfortunately, her first foray into novel writing, titled Big Bear with Sparkly Earrings, wasn’t a bestseller, but hope springs eternal. She’s published ten novels and two short stories, with the last novel in the Kitchen Gods series, Indulge Me, releasing in early 2019.